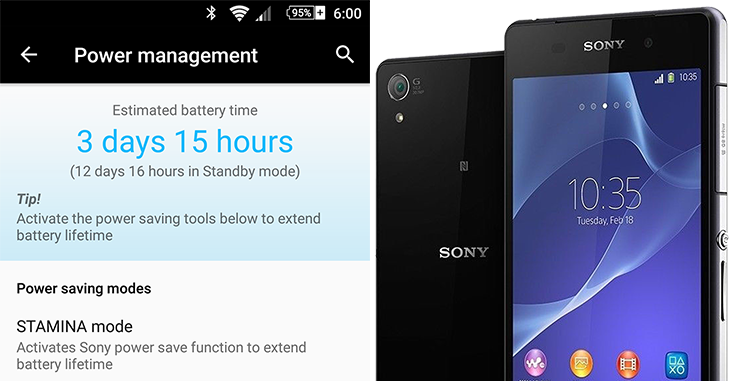 Have any of you really given any thoughts on the power management of the Sony Xperia line? You might want to look into it. With the latest release of Lollipop 5.1.1, it has made a tremendous leap in the performance of the Xperia line of devices, notably the Xperia Z2 & Z3. I can get approximately 20 minutes worth of screen time per 6% which brings me to about 5 hours worth of screen time on a continuous play. This would mean I can play a video game or watch Netflix for good solid 5 hours non-stop. 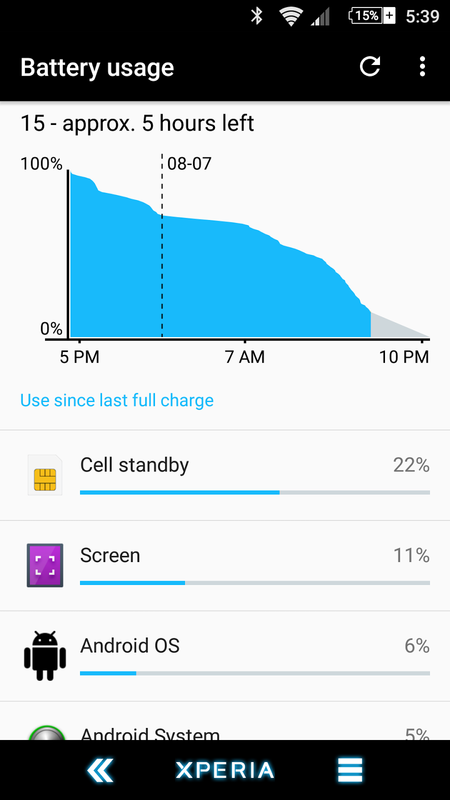 Who can honestly say that almost 2 years with their smartphone can get a nearly as good battery as when you first got it? Not a lot and that's just a fact. The battery over a period of time will lose some of its capacity. Sony has done an excellent job with power management and it shows in the stats. I rarely make use of the extreme power features that's built into the Xperia line. You can take a look at the various settings that's provided to Sony Xperia users. I'd like to hear about your own experience with the device you have. How's the battery life on a regular basis, actual screen time in real world usage.